Crochet Animal Kit - Giraffe is rated 5.0 out of 5 by 1. 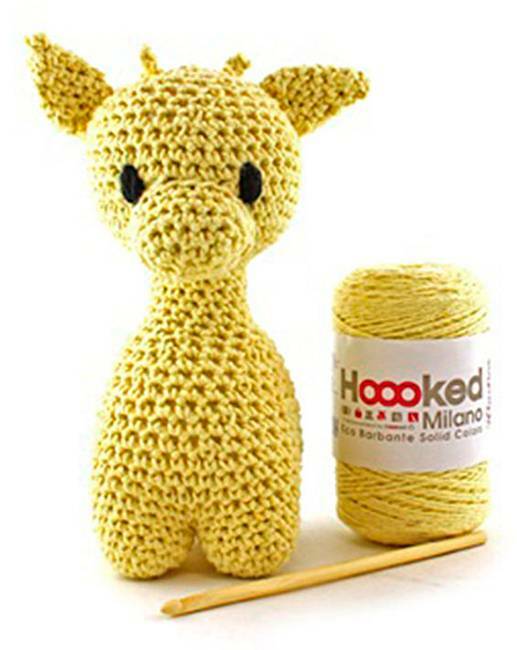 Crochet this super cute giraffe from Hoooked made from Milano Eco Barbante cotton yarn. Eco Barbante recycled cotton craft is produced in a sustainable way, respecting nature. Hoooked Milano Eco Barbante stands out for its quality and softness. The yarn consists of 85% recycled cotton and 15% other recycled fibres. This Eco Barbante giraffe DIY set is perfect for both the novice and the advanced crochet fanatic. The kit also includes bamboo crochet hook size 6mm and crochet pattern. Rated 5 out of 5 by Jan from Crochet animals I bought this to help my crochet skills its lovely you get everything you need to make it and i would recommend this to friends and family.